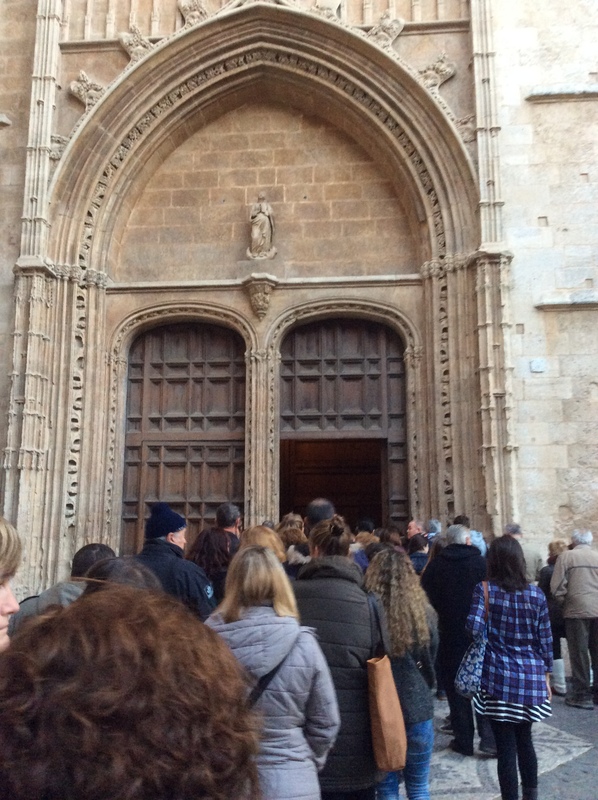 Today, February 2nd, is the Christian festival of Candlemas and, in Mallorca’s capital, Palma, it’s one of two days a year when the city’s majestic cathedral – La Seu – opens its doors early allowing thousands of people to witness something known as ‘the spectacle of the eight’. It’s something I have been longing to see for several years; today we finally managed it. It did mean an early start: I was still dreaming sweetly when the alarm burst into life at six o’clock. I’m no stranger to early mornings – having spent six years of my life getting up at 3.30am to work on a breakfast radio programme – but I generally prefer a little more duvet-time during the dark winter mornings. 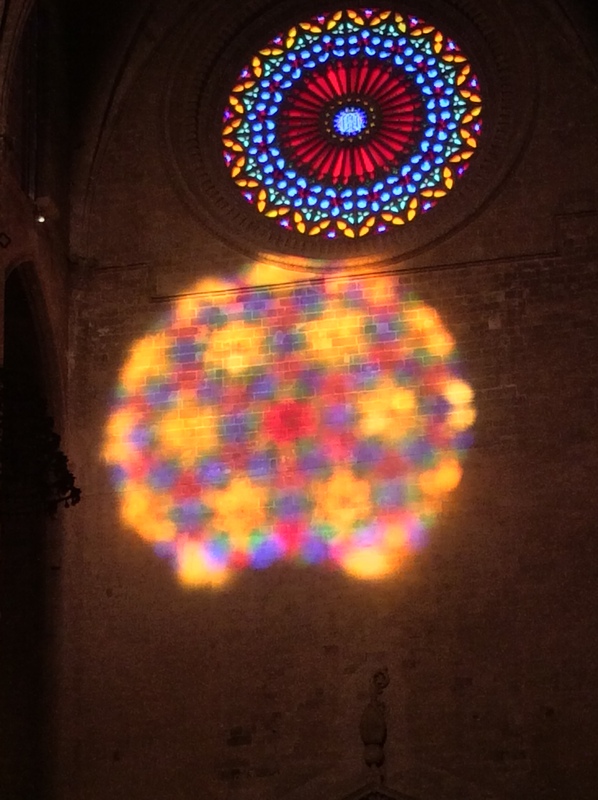 ‘The spectacle of the eight’ happens when the sun shines through the cathedral’s large rose window, and projects an image of it onto the opposite wall, directly underneath its smaller rose window, thus creating the ‘8’. The alignment works perfectly on February 2nd and on November 11th (the Feast of St Martin) – but only if the sun shines. We drove through quite a bit of fog on our journey to Palma and were relieved to see clear skies over the capital. 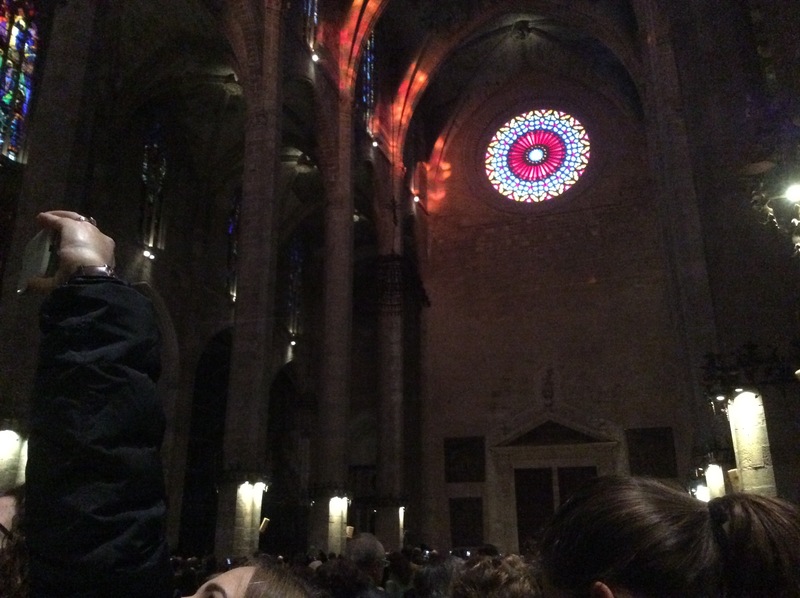 The large rose window – for those who like a few stats to drop into conversation – has a surface area of 94m2 and a diameter of 11.85 metres. 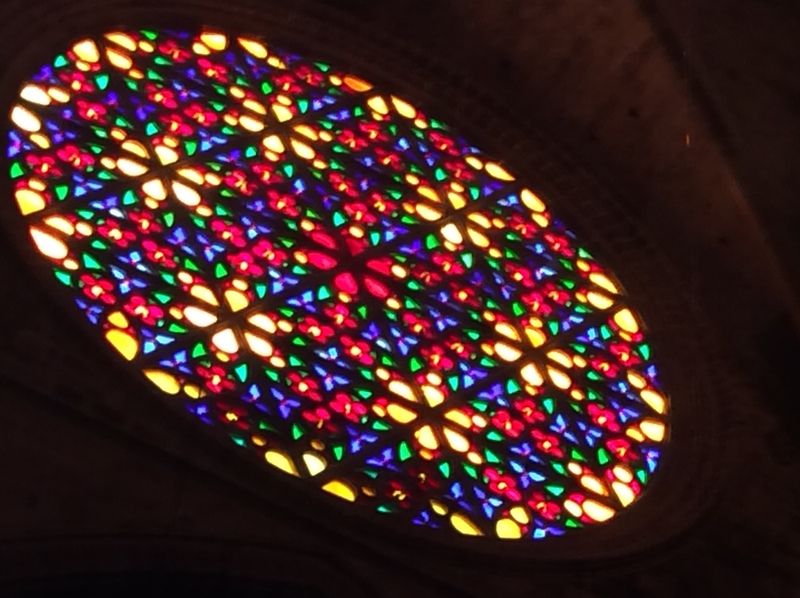 The 14th-century window has no fewer than 1,115 pieces of coloured glass, that sparkle like jewels in the sunshine. Looking at this, the other stained glass windows, and the cathedral itself, one can only marvel at what could be achieved in the days before CAD, construction plant, and regular breaks for a cuppa. 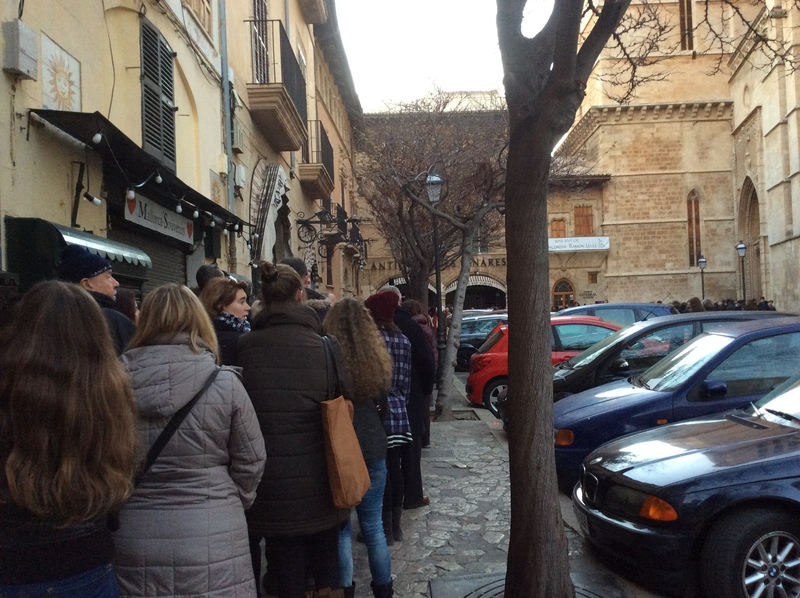 We joined a long queue of people waiting to file into the cathedral, which was already about three-quarters-full when we found our spot inside shortly after 8am. And then we all watched as the spectacle unfolded above us. Shortly after 8.30am there was a little applause as the alignment came into place. It was a magical moment we shared with young and old, locals and visitors. 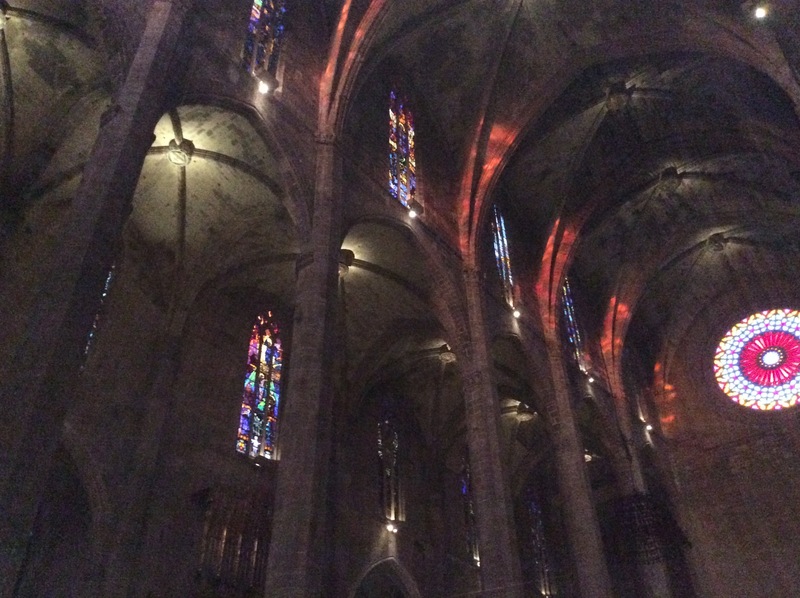 If you’re visiting Palma at this time of the year (or in mid-November), it’s something that shouldn’t be missed in the beautiful ‘Cathedral of Light’. My only regret? I didn’t take my Nikon camera (brain not in gear so early in the morning) and had to reply on Mr Apple for these images. Almost at the door . . . 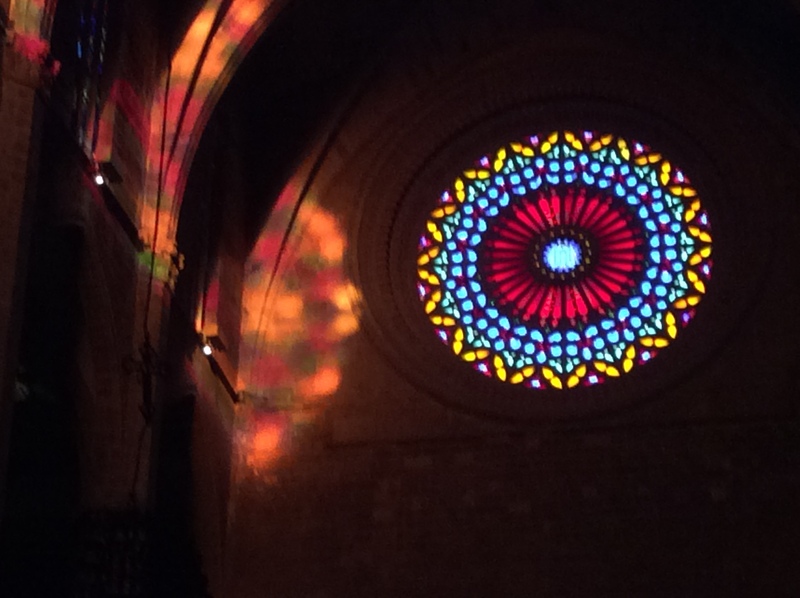 The large rose window welcomes in the sunshine. Good advice! And make sure you have plenty of battery power in your camera! I kept thinking I’d got the money shot and it just kept improving as the seconds passed!